You know we really like Instagram. We love surfing the net while we look for inspiring profiles. 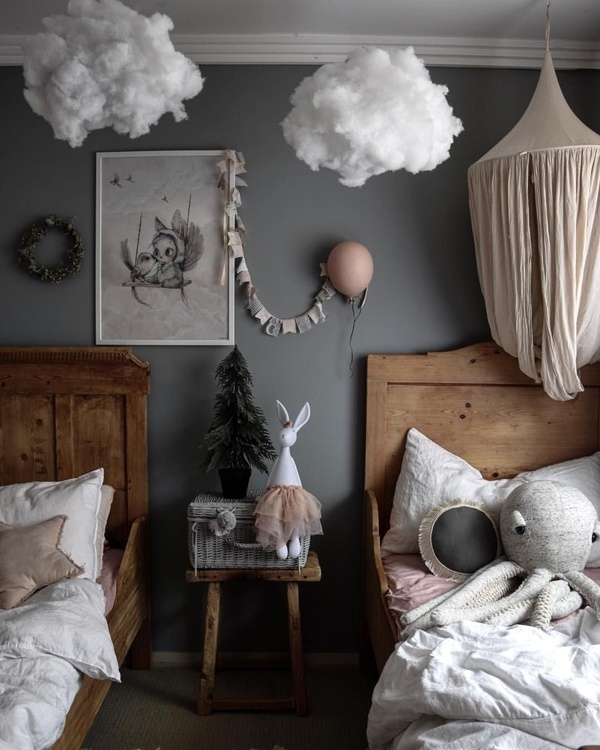 Istome is one of them; inspiration is present in every single image they show @istome_store is focused on Scandinavian decor which is a lucky strike as this is one of our favourite styles. Let’s take a look to its profile to see what they offer. 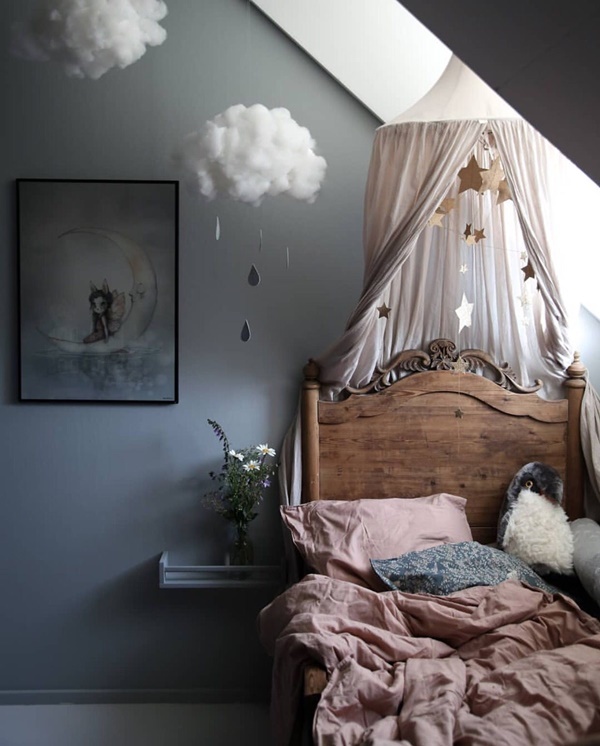 One of the things we can learn from this account is that grey looks elegant in kids’ rooms. We may doubt about the most suitable color for our little one’s room. 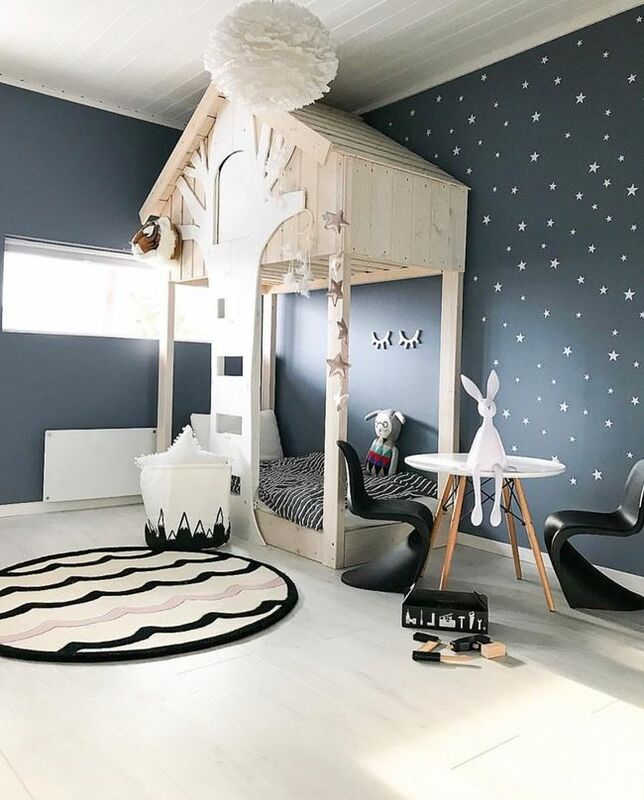 Traditional blue and pink tones are- of course a great option too, however, forgetting grey might be a big lose, especially if you like wood-based décor. 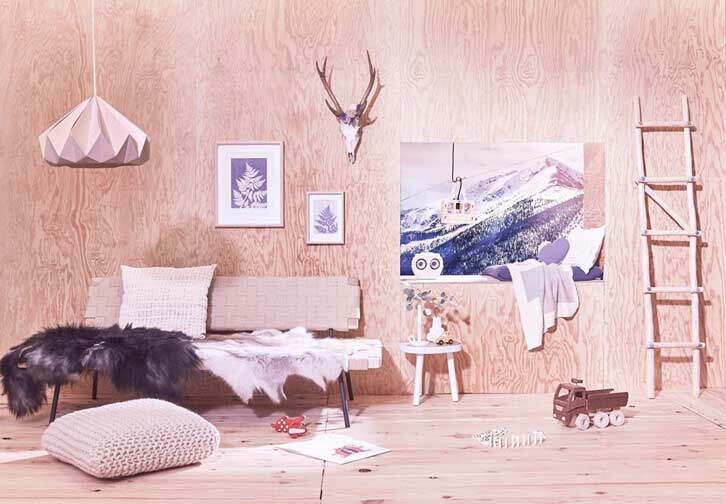 Yes, rustic Wood can be the perfect complement for those tones, as you can see in these images. 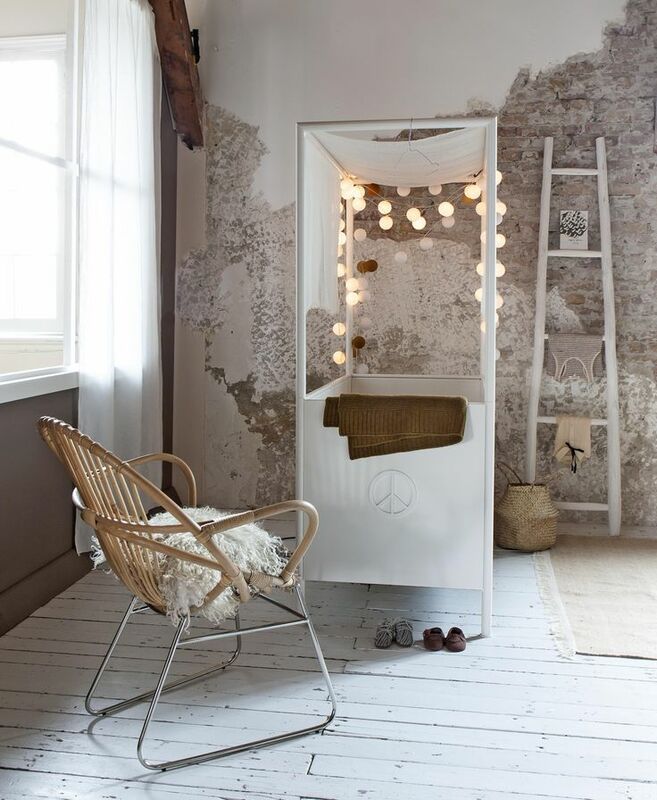 The final touch is provided by pastel and White tones on fabrics and small ornamental details. Simply beautiful. It’s not the first time we say we love Montessori Method. 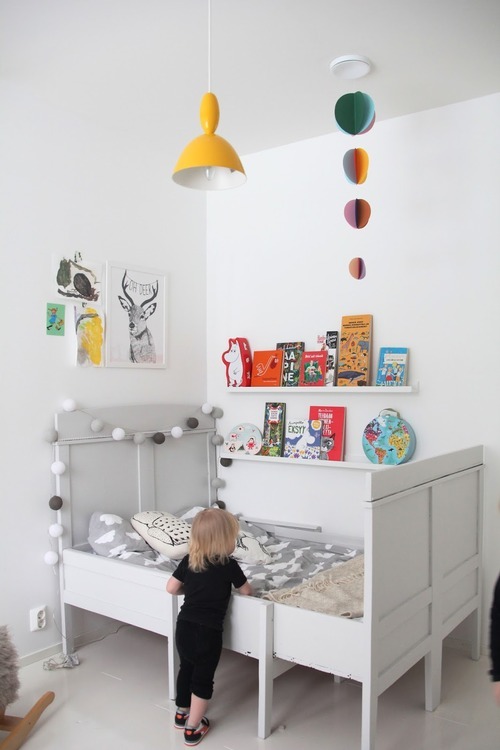 Considering it in the design and decor of kids’ room is crucial. This profile shows clear examples of that. Take a look to the images where beds provide kids with lots of autonomy. 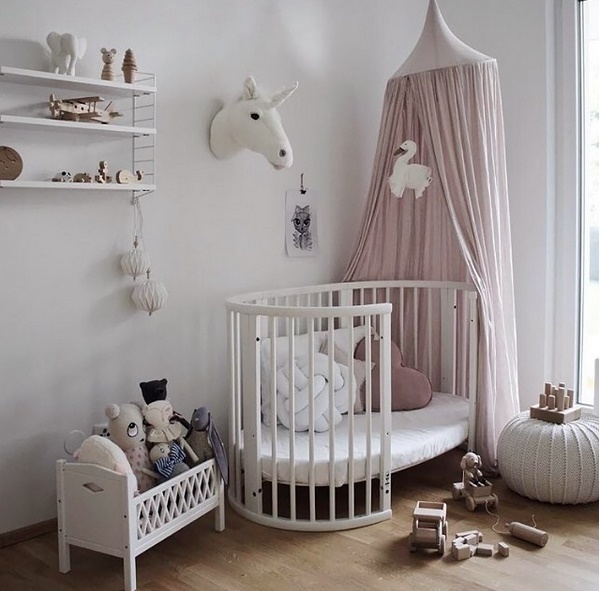 Versatile cribs which can be later turned into a ground level bed so kids can get up and go to bed on their own. 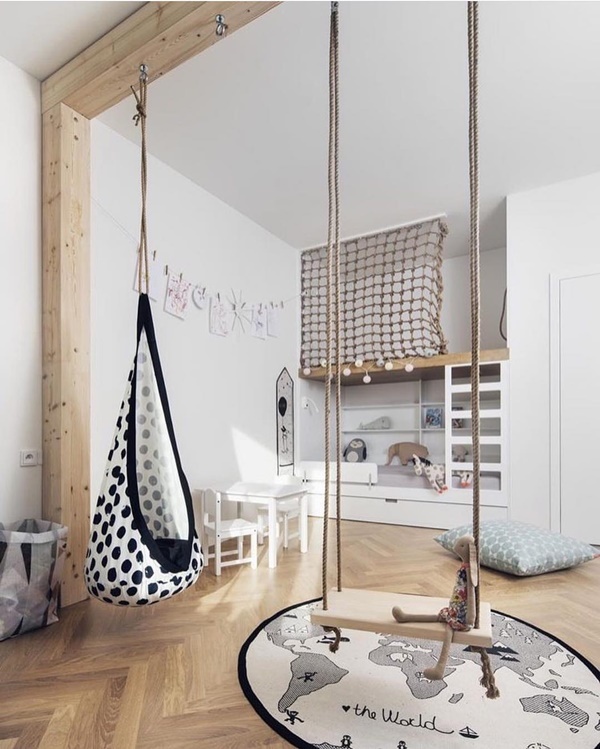 Although they are atmospheres that we don´t always have at home, we really love spacious kids’ rooms. 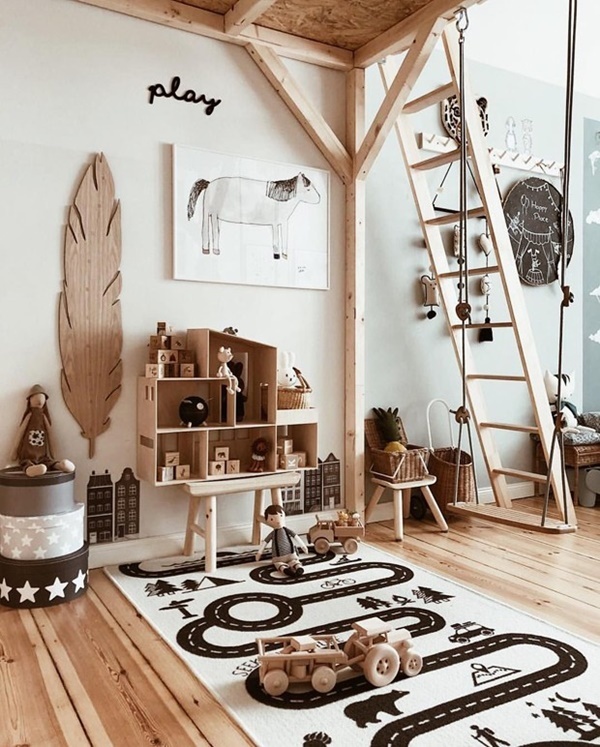 However, this profile also shows some ways to take advantage of space, double height rooms, for example usually leave a lot of spaces to play if the ceiling is high enough. 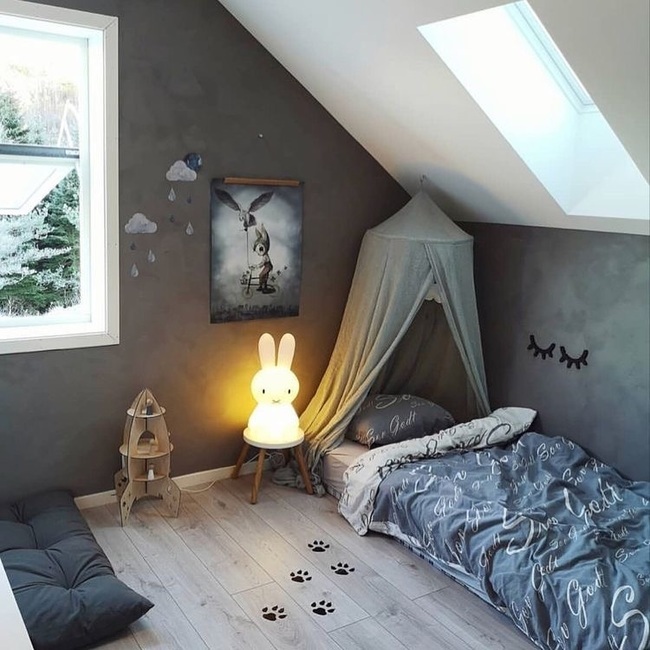 In addition, it is possible to place the bed (or bunk bed) in a corner, leaving the rest of the space available to enjoy. Wood is almost as important as space. 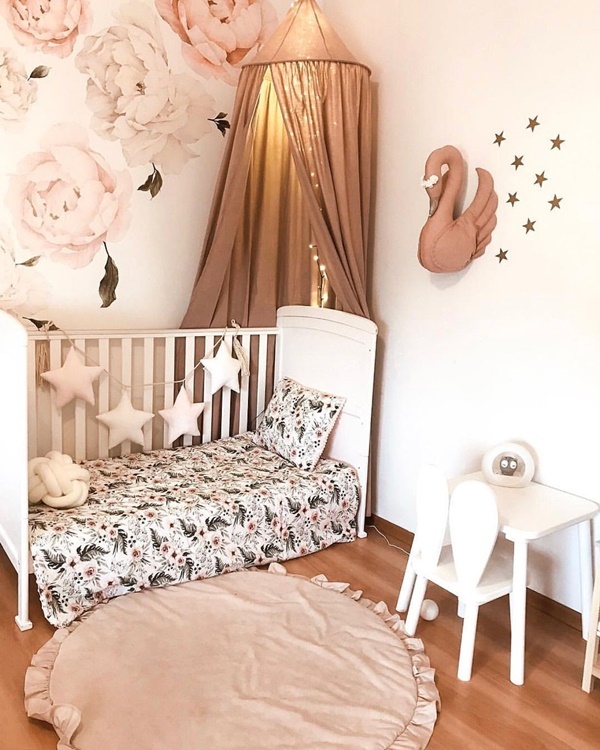 Just a few rooms are warmer than those with wooden furniture and this is something we can see in many photos of this profile. We love that natural wood, almost without any treatment, with some country touch. Finally, we must mention those play area which are clearly separated from the rest of the space. Yes, Indian tee pees are still a must. Everybody knows those special and cute tents where they can hide to create their own worlds. This time, however, they don’t only use tee pees. Fabric canopies can also become a tent. There are no rules to place them, use them to create your own story.